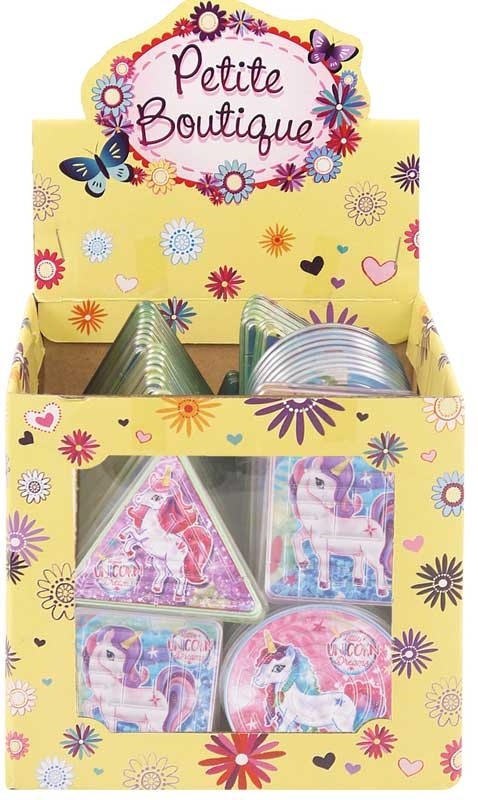 Petite Boutique Unicorn Puzzle Maze 3 ASST SHAPES - Fun and easy entertaining Unicorn Puzzle Maze. 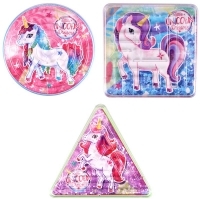 Get the small ball to the centre of the maze to win. 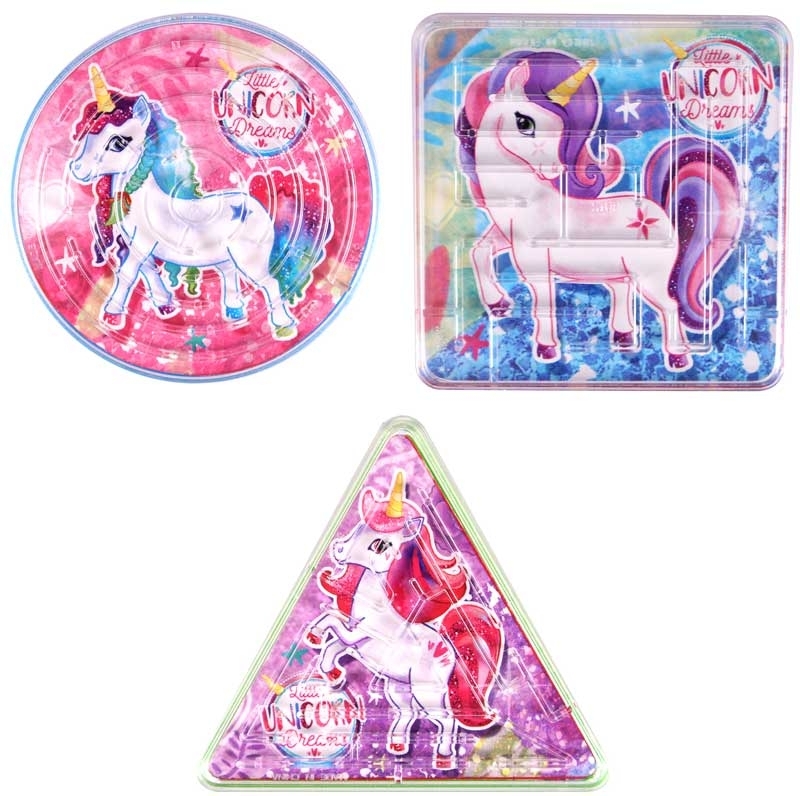 Comes in three different shapes: square, circle and triangle each featuring a different Unicorn Design.